When I was young (and by young, I’m talking well into my twenties), I would choose, without hesitation, Star Wars over Star Trek. Somewhere between then and now, I switched teams. In recent years I’ve enjoyed the new Star Wars movies, but I don’t feel the same attachment to the Star Wars universe. I still haven’t actually earned the Trekker or Trekkie title, but I’d rather ride on the Enterprise than the Millennium Falcon, and as much as I appreciate Yoda, I’d prefer to hang out with Spock. I watched and enjoyed Star Trek: Next Generation in my youth but I wasn’t a dedicated viewer. Let me assure you – I have been making up for that since. I only encountered the subsequent series when I started working out at places with Space network access, when Space seemed more like the Star Trek/Star Gate channel everytime I showed up at the gym. Of the later TV series, Voyager was my favourite, and Captain Janeway my hero. Seeing/hearing Kate Mulgrew at Fan Expo only made this feeling even stronger. I’m only a recent convert the to “original” Star Trek, which took me an awful long time to love. Admittedly, I had a longstanding anti-William Shatner bias (an odd story, mostly to do with Kirby vacuums). But I’d also had the sense that Star Trek: OS just wasn’t for me. As a kid, the only appeal it offered was some “Trouble with Tribbles.” For this older version of myself, it’s a whole different story. I owe this shift in perspective in part to teaching science fiction TV. I didn’t feel I could talk with any authority about science fiction on television without having a more thorough understanding of Star Trek, and the more I learned and watched, the more I found to appreciate. 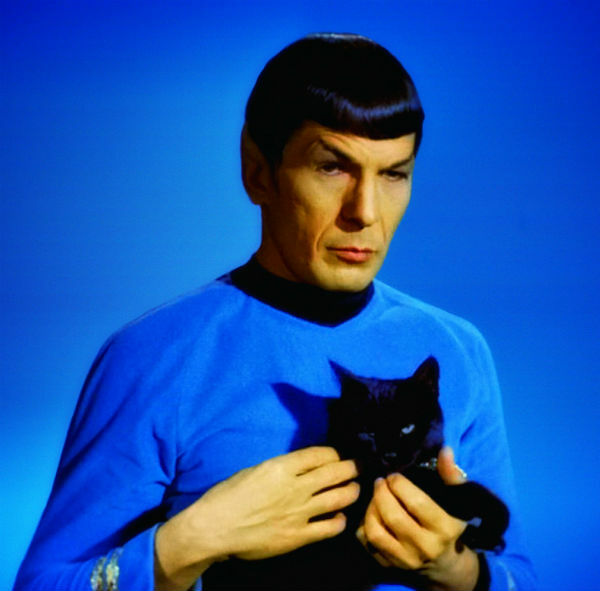 Especially Spock. Bones, not so much. While watching, I complained loudly and often about his idiotic reactions to Spock. And I’d really prefer a universe where more women are allowed to wear pants! Now I’ve run out of Star Trek: OS episodes and I’m back into Star Trek: TNG. If I’m going to try to tackle each episode series by series I have a lot of watching ahead. Am I going to earn my full Trekkie/Trekker status? I’m not sure, but if I do I’ll wear it as a badge of honour. Sorry, Star Wars – you’ve still got my attention, but I think Star Trek has my heart.